UPDATE: It's now November 2nd, 2009 and the biggest cruise ship, the Oasis of the Seas, is on its way to Port Everglades, Florida and the 5th of December 2009 she will start her 7 night inaugural cruise through Eastern Caribbean. 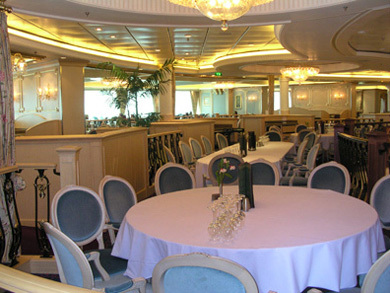 Get a feel for this amazing ship with photos and videos. It definitely has the WOW factor! 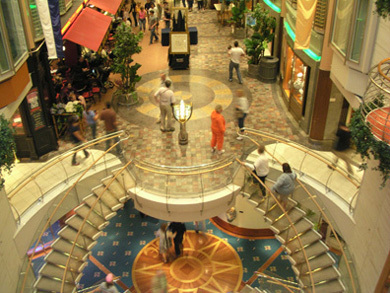 On January 20, 2008, I was part of a group of about 60, most of them total strangers, embarking on the biggest cruise ship for a 7-day cruise in the Caribbean. Find out why I was part of this group. 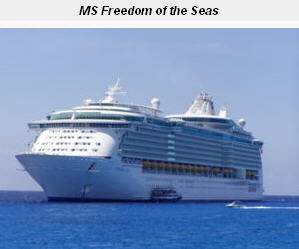 Freedom of the Seas, from Royal Caribbean comes in at 154,000-ton! 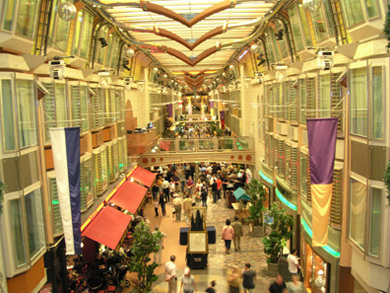 But in 2009, Royal Caribbean will launch an even bigger one,the Oasis of the Seas, at 220,000-ton! 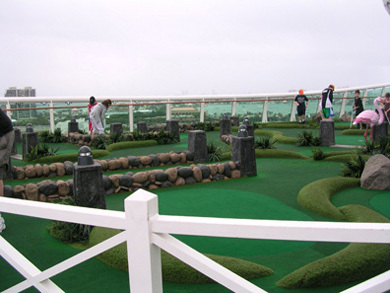 This cruise was to be my 22nd. After visiting many islands, (have you looked at my map of the Caribbean islands) you can understand that the ships have now become "my destination". So I was really excited to see this biggest cruise ship which has a capacity of more passengers + crew than the total number of people living in my town of 5,000. And what's even more amazing to me, even after all these cruises, is to watch the captains turn these babies around on a dime, I kid you not! And don't let the big numbers scare you, there is room for everyone and you can always find a spot away from the crowd. We would be visiting Ocho Rios (Jamaica), Cozumel and Grand Cayman and I'll be writing about these islands on other pages. Most of our group brought their families with them but I was 'single' for that week. You see, we had just came back from a 9 day cruise on January 2nd, 2008, so my husband was too busy to come along. I was sharing a cabin with 2 other women, Sveta, from Home Staging Montreal who I knew a bit as she lives in Montreal, and Linda from Top Tour of Spain who I didn't know except from our emails and she does live in Spain but is British. I'm happy to report that we got along fine and surprisingly, we were really good with the bathroom schedule! 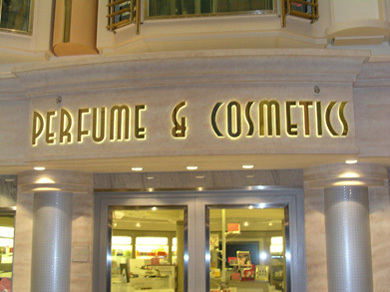 So how was it on the biggest cruise ship? Not only is it big, but also very large. 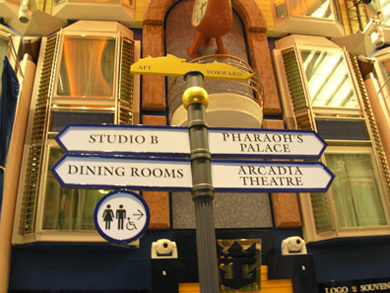 Usually a cruise ship has on each deck, on each side of the corridor, a row of outside cabins and a row of inside cabins. 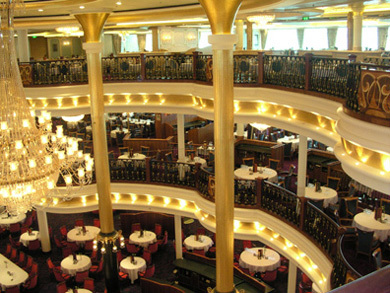 This largest cruise ship has,in the middle of it, 3 rows, an outside and 2 insides back to back. I did need my little pocket map for the first 2 days to find my way around. Let's me show you a few photos I took of this biggest cruise ship. P.S. 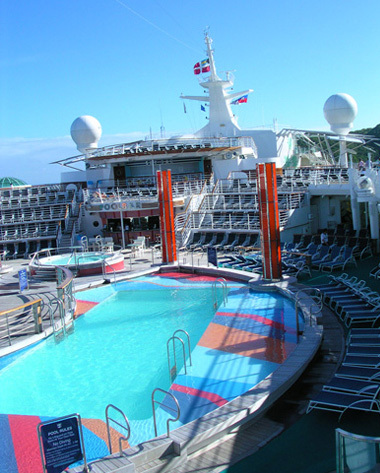 there is nobody in the pools because it was cloudy and cold on our first day at sea on the Monday. 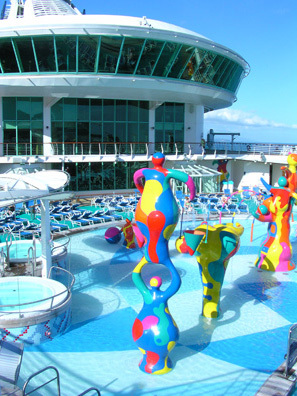 If you want to see more, take a virtual tour of the biggest cruise ship on Royal Caribbean's website. So did I like my cruise? I absolutely loved meeting all the other SBI owners and everything I learned from them. But bigger is not necessarily better. Ok so let me be a bit picky here. Don't get me wrong it's a beautiful ship, and I'm glad I sailed on it, but I won't sail on it again as I have too many more ships to try.